Arrowleaf Guest House está situado en las estribaciones de la hermosa valle bitterroot contra el telón de fondo de las montañas y montañas bitterroot Sapphire adyacentes. Arrowleaf casa de huéspedes está situado a 3 kilómetros al oeste de victor ya 45 minutos en coche del aeropuerto internacional de Missoula. La propiedad es de 10 hectáreas, con una abundancia de vida silvestre. Ciervos, pavos salvajes, y los alces son visitantes frecuentes. La casa ofrece grandes cubiertas, patios, y un montón de espacio interior para relajarse, observación de la fauna y de entretenimiento. Arrowleaf hostal muestra un evento espectacular manantial natural cuando las abundantes nativos Arrrowleaf Bálsamo raíz flores florece en el comienzo de la primavera (finales de mayo-principios de junio). You will be glad you stayed here!! 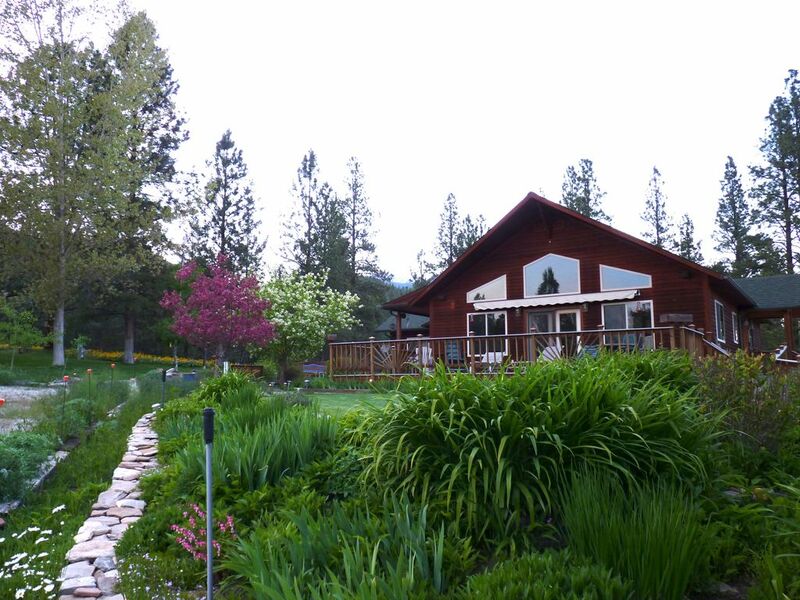 Beautiful house and property, lovely to meander in the 10 acres, close to many hiking trails - we loved staying here and will be back in the future!! We thoroughly enjoyed our stay, wonderful location and property. Joy and Duane were great hosts! This is a beautiful property the pictures can't do it justice. We stayed here for a few nights for our daughter's wedding. The hosts were fantastic, and wanted to provide all we needed for a great stay. The steamer they had in the closet was a complete lifesaver for my daughters wedding gown. The hot tub was clean and so appreciated as we were needing some relaxation. We highly recommend this property for a family stay, and hope to stay here again. Great thanks to Duain and Joyce! Home is very well stocked. Very private setting surrounded by flowers and hummingbirds. We will be back. This is beautiful house with plenty of room for our family of eight. The location provides pretty walks from just outside the door. Duain and Joyce are gracious hosts. We couldn't have asked for anything better.